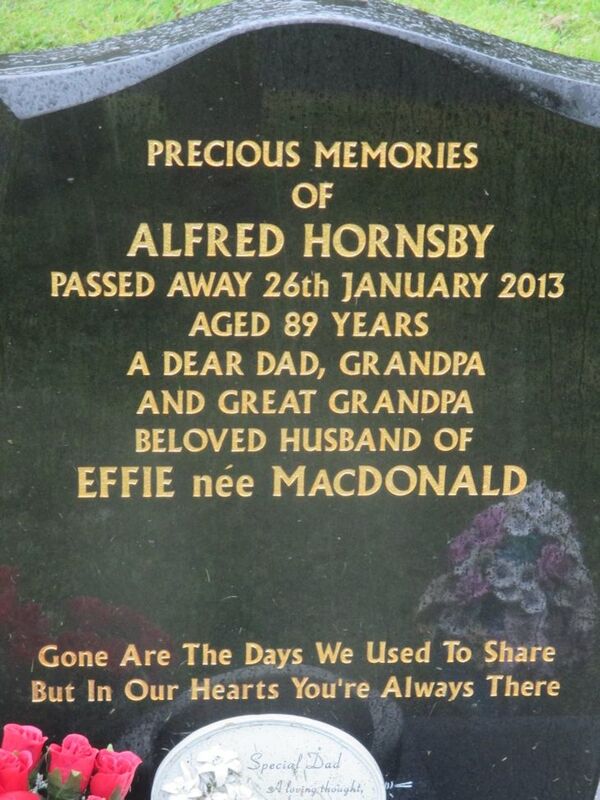 Skye Gravestones | Alfred Hornsby. Precious menories/of/ALFRED HORNSBY/passed away 26th January 2013/aged 89 years/a dear dad, grandpa/and great grandpa/beloved husband of/EFFIE née MacDONALD. Gone Are The Days We Used To Share/Byt In Our Hearts You're Always There.